If you want to reset your password, go to account.moneymailme.com web page. 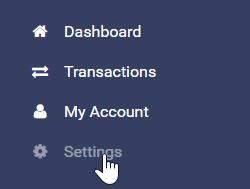 After login, go to Settings menu on the left side of your screen. 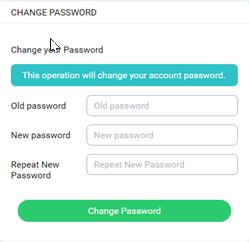 Then, go to Change Password section to input your new password. Your old password is required in order to successfully complete this step. Upon accessing the application on your mobile, you will be required to sign in again.